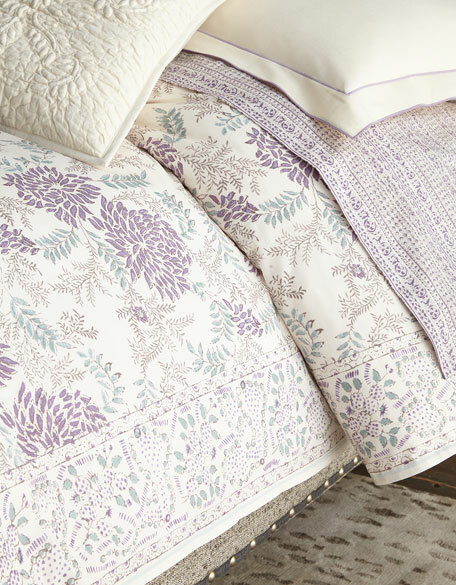 Comforter in tossed lilac hydrangea print with a whimsical border. Air wash finish and barata stitch on the edge. 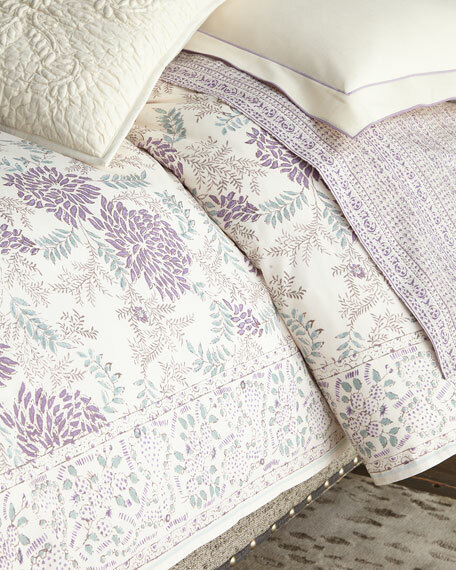 0.5" stitch down tailored flange with decorative stitch detail between body and flange. 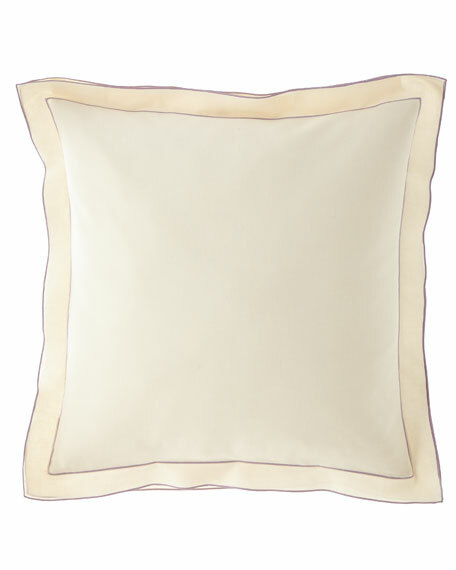 Fine linen sham with delicate double flange finished in contrast stitching. 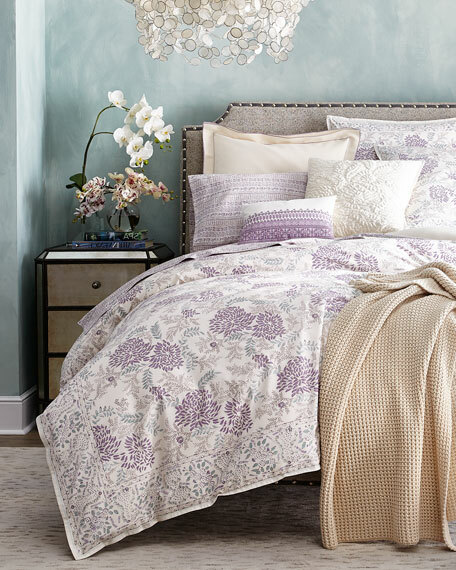 Sham in tossed lilac hydrangea print with a whimsical botanical border. Air wash finish with barata stitch on the edge. Back hidden button placket closure. 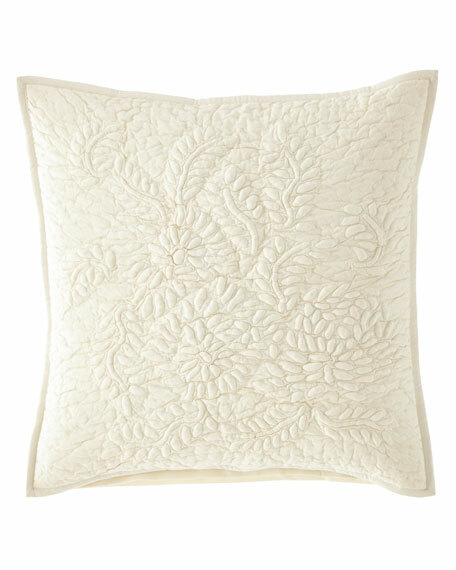 Cotton pillow of hand-stitched trapunto quilt with floral motifs. 0.5" cotton percale binding on all four sides. 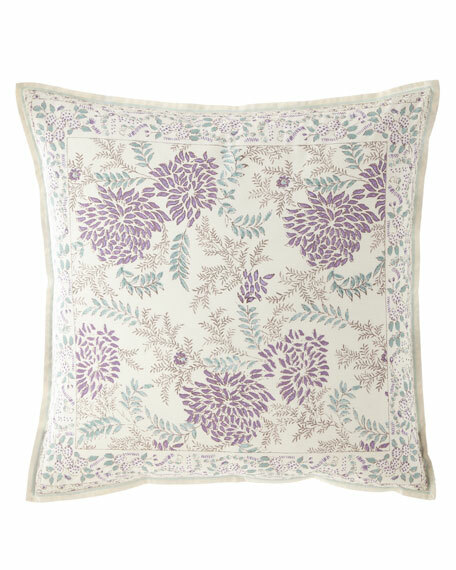 Solid pillow with geometric botanical floral vine embroidery. Knife edge with hidden zip closure. 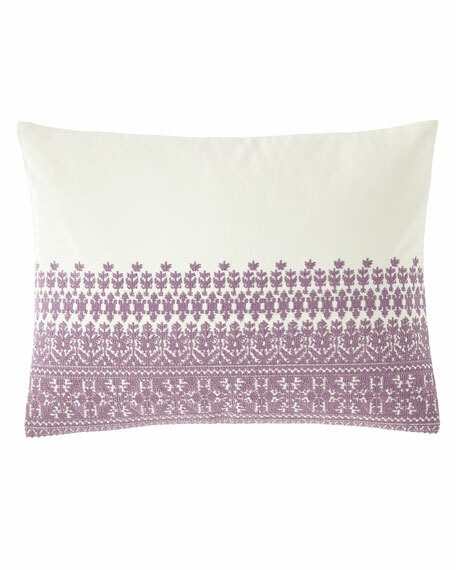 Pillowcase in abstract geometric stripe pattern. 4" self cuff with decorative top stitch between body and cuff. Fitted sheet in abstract geometric stripe pattern. 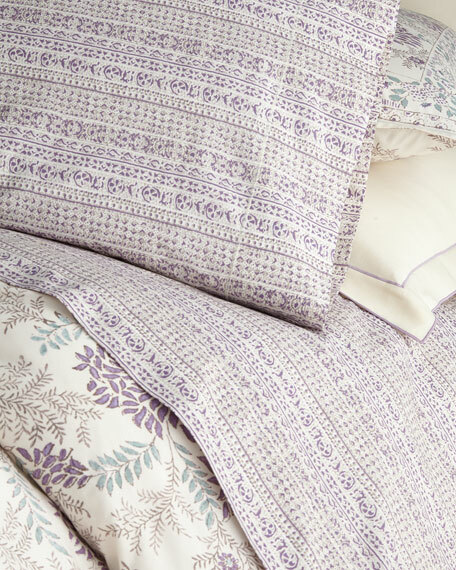 Flat sheet in abstract geometric stripe pattern. 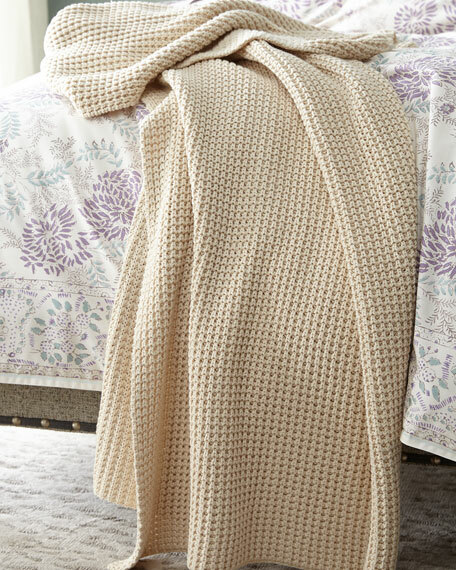 Single layer, heavy gauge knit blanket.